Live and online coaching with experts who have been through the adoption process themselves and know the complexities of funding your adoption. Emphasis is put on adoption budget and planning guides as well as templates to customize your own financial plan. Online video library with over 4 hours of content available to you 24/7. Participating families will learn how to apply for grants and loans, plan and implement a fund raising campaign, learn about the adoption tax credit and analyze crowd-funding platforms to determine which is best for you. Experienced Coaches available to you to answer all your questions about how to find the money to pay for your adoption. 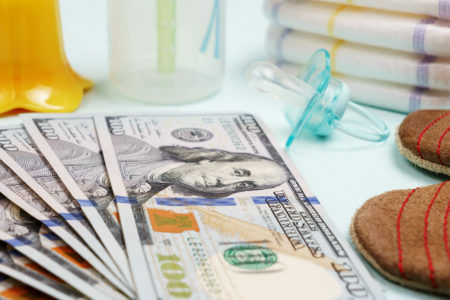 Whether you have all the money for your adoption or not, these services are invaluable to you in developing a financial plan for your adoption. At LFSRM we are eager to help you create your road map to financing your adoption. Families must qualify for this program, please contact us at 303.217.5853 or adoption@lfsrm.org for more information. CADE Foundation– www.cadefoundation.org The Tinina Q. Cade Foundations Family Building Grant is an annual award that provides up to $10,000 to needy, infertile couples for Domestic Adoption and IVF. National Adoption Foundation– www.fundyouradoption.org The NAF’s grant, awarded quarterly, can range from $500 to $2000 depending on the needs of the family and the circumstances surrounding the adoption. NAF also offers unsecured loans of up to $35,000 for people with a credit score of 640 or higher at an interest rate of 6.73% APR. Gift of Adoption– www.giftofadoption.org – Grants range from $1,000- $7,500. Applicants must have a complete home study in order to qualify. Both domestic and international adoptions require a home study. Americas Christian Credit Union– www.americaschristiancu.com – Loans offered up to $50,000 with a 8.65% APR for up to 84 months, which can be used for domestic and international adoptions. They also offer an adoption grant. God’s Grace Adoption Ministry– www.ggam.org – Matches funding that you raise through family and friends up to $2,500. Must be Christian, married, and make less than $60k. Help Us Adopt– www.helpusadopt.org – Offers grants of $500-$15,000 depending on individual situations for domestic and international adoption. Families must have a completed home study to qualify. Never Alone Foundation– www.laurelsmessage.org – Several grant programs for families adopting special needs children internationally. $5,000- $25,000 grants available. Resources for Adoption– www.resources4adoption.com – Buy a list of grants and loans available for adoptive families as well as a “budgeting toolkit”. The cost for this services is $29.29 for 3 months or $95.50 for a year. A Child Waits Foundation- www.achildwaits.org – Provides grants and low interest adoption loans specifically for international adoptions. Show Hope– www.showhope.org – Grants to be used towards adoption. Families must have a completed home study in order to apply. ABBA Fund– www.abbafund.org – Interest free loans for Christian couples. Katelyn’s Fund Orphan Ministry- www.katelynsfund.org – An adoption advocacy organization that provides a limited number of grants. Lifesong- www.lifesongfororphans.org – Offers grants and loans to Christian adopting families. They will also work with your church in providing grants and loans through donations. Lydia Fund– www.lydiafund.org – Financial assistance to Christian, married couples who are adopting internationally.